… or, as I call it, my first Daring Bakers Debacle. Nothing about this worked for me this month (Dan has a differing opinion, which is that the taste worked out but that the texture was weird). In either case, I felt that I could not serve this to the guests to whom I had intended serving it. 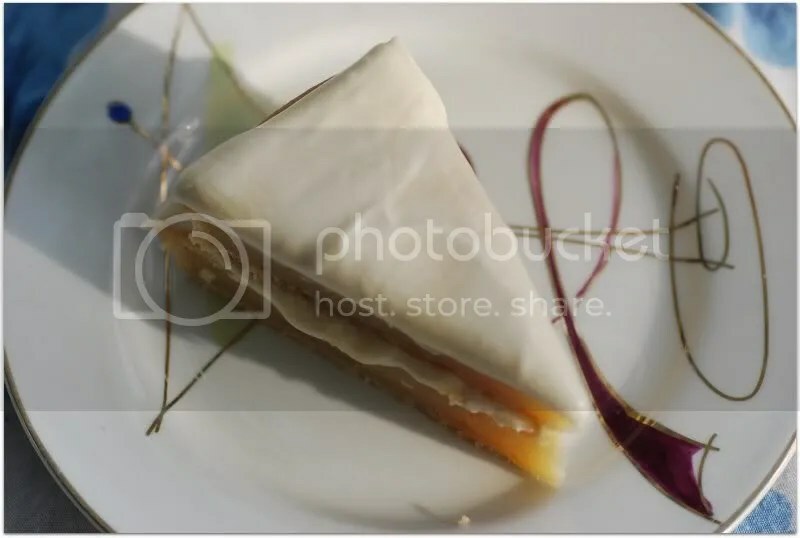 As it came down to the wire for me this month (I made this today – as in on posting day) I had to come up with another dessert at the twelfth hour Luckily, that dessert was a success (Phew! Thank goodness because people will be here in an hour and a half! ), and I look forward to sharing it all with you in my next post. There was also an optional caramel candies recipe to make this month and, tempting as it was (I love caramels! ), in the face of many sugar-infused days in the weeks ahead I decided to forgo it until a less sugar-saturated time of year. Thank you to the hosts of this month’s challenge: Dolores of Chronicles in Culinary Curiosity , Alex of Blondie and Brownie Brownie of the Blondie and Brownie, duo: http://blondieandbrownie.blogspot.com/), Jenny of Foray into Food , and Natalie of Gluten-a-Go-Go . Well, it looks beautiful! I’m sorry it didn’t work out – it’s so frustrating when you spend time on something and it doesn’t want to cooperate! You’ll get ’em next month! Well take comfort in the fact that you’re not the only one who had problems with the consistency. I’ve read that a number of times tonight. Looking forward to the “success” post. I agree with Shellyfish, it looks beautiful! I’m sure you will have better luck with the next challenge. It tastes good and it looks good. I’ll have a slice. Aw, I’m sorry the execution wasn’t what you wanted. But it looks great! It looks like an incredible cake! Too bad the taste & texture were not exactly what you were looking for. I’m so sorry you weren’t happy with your results on this one. To add to your husband’s list of positives, it looks like it also plated beautifully for you. Better luck in December, and thanks for baking with us! I’m so sorry the cake didn’t turn out the way you wanted. It does look beautiful in the picture though. Thank you all for your kind words. You’ve really boosted my cake’s self esteem! I never would have guessed there was a problem with the cake! Like others, my frosting was also too sweet. I love the look of your naked layers. Well, sorry that your adaptations didn’t quite work…at least someone liked the taste! Well, your cake looks great anyway! Hopefully your December DB challenge will go better. 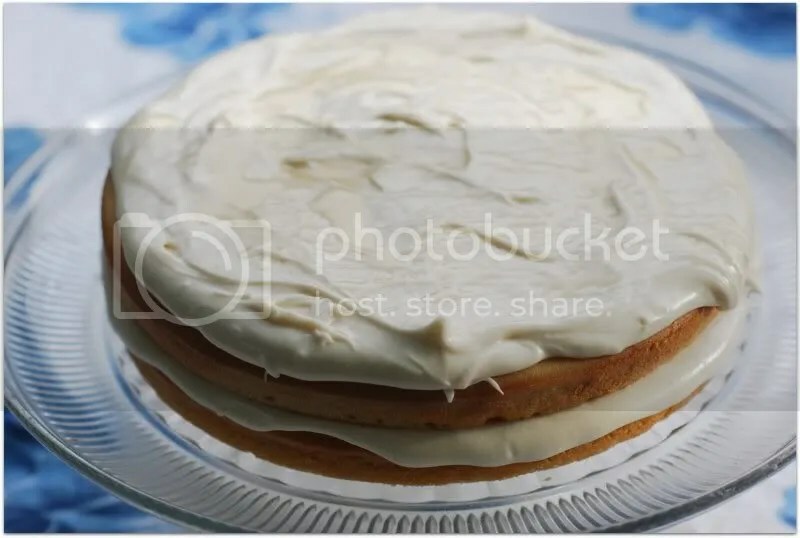 Gail, I hope you’ll reconsider and publish your recipe and what you thought the mistakes were because based on the pictures it looks fantastic. I even looked at the original recipe because I was curious and I didn’t find that cake nearly as good looking as yours. I know taste is a different matter, but as one who enjoys different textures in foods, I don’t think it would have bothered me one bit. If the challenge were who eat the dessert based on the picture, then I think you would win hands down!